ATHENS (Sputnik) – Thirty people have been detained during anarchist protests in the central part of Athens timed to the 10th anniversary of the killing of a Greek student by two law enforcement officers, which turned violent on Thursday, local media reported. Alexandros Grigoropoulos was killed in the Exarcheia district in downtown Athens on December 6, 2008. The Skai TV broadcaster reported that the area saw the anarchist protesters attacking police with bottle bombs. The law enforcement officers, in their turn, reportedly used water cannons to suppress the protesters. The broadcaster added that those detained included minors and foreigners. The Protothema news outlet reported that one person had been injured in the clashes. Four private cars had been burned as a result of the unrest, the outlet added. — Ruptly (@Ruptly) 6 декабря 2018 г. According to the assessments of the media, around 300 demonstrators took part in the protests. Moreover, the unrest reportedly also took place in Thessaloniki, Heraklion and other Greek cities. Greece has seen protests over the killing of Grigoropoulos by the police every year since the incident. 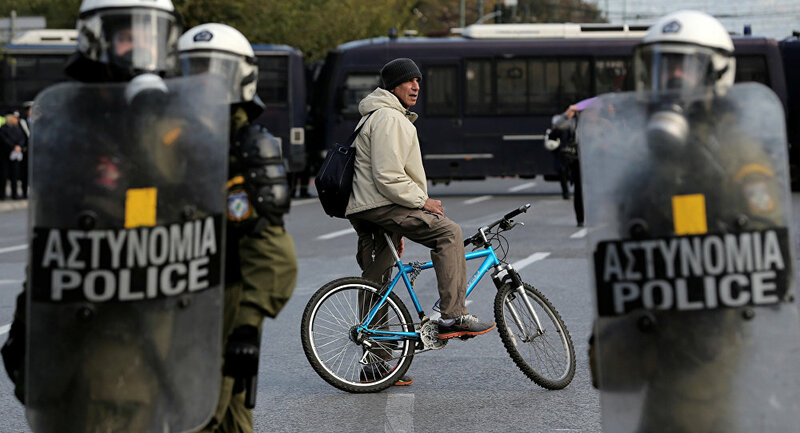 This year, 5,000 law enforcement officers ensured public order during the protests in the Greek capital.